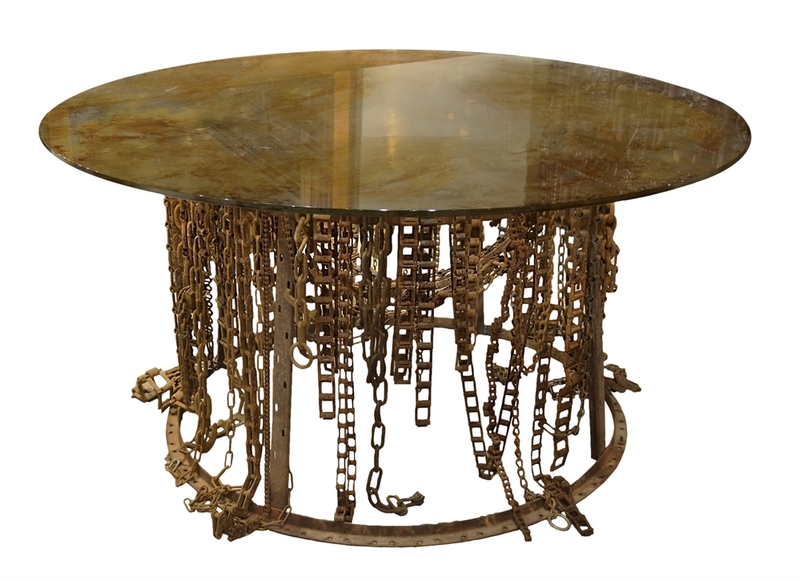 The Chain Table is one of our original designs created by Joann Westwater that uses old metal elements. The base support is made antique iron rings and supports a large variety of antique, rusty chains. 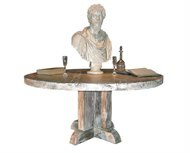 The size of the bases and tops somewhat depends on what is available, but can be custom made to some extent. The glass top has a multicolored lacquer finish in rust tones and is rubbed back to soften the look of the glass and allow the base to show through.